Edmonton is the capital city of the province Alberta which is located on the North Saskatchewan River, in central Prairies. It hosts a year-round slate of festivals, reflected in the nickname “Canada’s Festival City”. West Edmonton Mall, biggest mall in Western Canada, has a water slide park, amusement park, ice rink, within the mall. It is a definitely a place that one can spends hours in and not even do any shopping! Fort Edmonton Park, nestled in Edmonton’s scenic river valley, the Park is a place where moments are waiting to be lived, senses come alive, and the possibilities are endless. Come to Fort Edmonton Park where there are discoveries to be made around every corner, and where carousels and Ferris wheels are filled with laughter. The park is the largest living history museum in Canada by area and it includes both original and rebuilt historical structures representing the history of Edmonton. A great way to learn about the Canadian fur trade abnd the first settlers of Edmonton while feeling like a blast from the past. Take advantage of the beautiful nature that Edmonton has to offer. The Muttart Conservatory is a botanical garden located in the North Saskatchewan river valley, across from the downtown core in Edmonton. It features more than 700 species of plants in 3 climate-regulated biomes(A large community of plants and animals that occupies a distinct region) – dry, temperate and tropical – and an seasonal biome, located within our pyramids. Located 1 hour away from Edmonton, there is Elk Island is a national park in Canada that played an important part in the conservation of the American bison. Elk Island National Park is known for a great place to pick during the day, a great place to see bison in their natural habitat, and star gazing, and overnight camping. So head to Elk Island and spread a blanket and gaze at a starry sky undiluted by city light, or tour behind the scenes at a bison handling facility and learn how this magnificent animal was brought back from near extinction. Things to do in the winter: Being as Edmonton is among the Canadian cities with the coldest winters, you are definitely going to want to check out some fun things to do but make sure you stay warm! Whether you’re tobogganing, skating, cross-country skiing, snowshoeing, or winter picnicking, you’ll find a pause as welcome as fresh-fallen snow. Well known for its commitment to nature, the arts, festivals, amazing parks, could there be a better place for Ice Castles than Edmonton? Ice Castles are a magical collection of Ice Tunnels, slides, caverns, mazes and more! If you want to feel like a part of the Disney movie Frozen, this is definitely a great place to check. We invite you to come and see for yourself! If you like sports, you must see an Edmonton Oilers game. Ice Hockey is one of Canada’s national sport, so is a must see if you can. 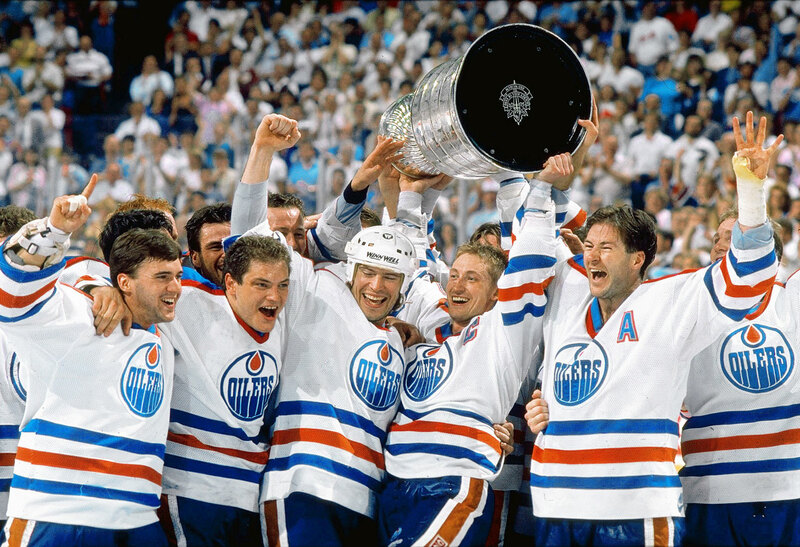 The Edmonton Oilers had one of the greatest hockey players Wayne Gretzky on their team. It would be well worth it to check them out. Their seasons go from September to mid March. As Edmonton is known for its festivals, you should definitely check out Sauvas Heritage Festival, it is a three-day event to sample delicious food, see creative performances, and experience Canada’s multiculturalism.Enjoy the tastes, smells, sights and sounds from 100 countries and cultures at 71 pavilions. Explore the Festival and enjoy free entertainment on more than 25 stages throughout the park. Or if you more like to experience a big part of Albertan’s culture, check out K-Days, formerly known as Klondike Days and Edmonton’s Capital Ex, is an annual 10-day exhibition held in Edmonton, Alberta, Canada, usually near the end of July. So if you would like to explore one of Canada’s Prairie provinces, Edmonton,Alberta is definitely the place to be!